1U.S. Energy Information Administration. A Look at the U.S. Commercial Building Stock: Results from EIA's 2012 Commercial Buildings Energy Consumption Survey (CBECS). https://www.eia.gov/consumption/commercial/reports/2012/buildstock/. Accessed March 12, 2018. Neil Maldeis is the Energy Solutions Engineering Leader at Trane. Mike Patterson is the Product Manager of Centrifugal Chillers at Trane. To learn more about Trane visit www.trane.com/Index.aspx. 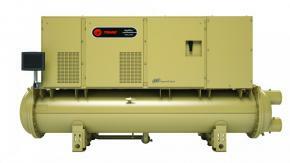 To read similar Chiller System Assessment articles visit www.coolingbestpractices.com/system-assessments/chillers.